I wanted a way for my students to practice looking at models and writing numbers to the hundreds. Students are to count the hundreds, tens and ones and write the number. For the first sheet, they are more basic. 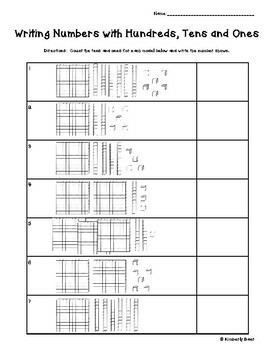 The second sheet they may have to regroup the tens to make a hundred. I also have this available to just the tens. 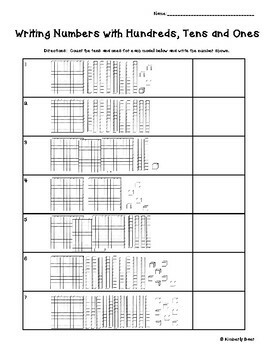 This would be perfect for guided or independent instruction in small or whole group, seatwork during math centers, homework, morning work or even an assessment. Enjoy!